Andrei Strizek is currently working on his PhD in Musicology, having recently completed his Masters of Music Education at the University of Illinois at Urbana-Champaign. In addition to his studies, he is the Interim Events Coordinator at the Krannert Center for Performing Arts. Strizek is originally from Sun Prairie, Wisconsin, where he learned to play piano from the age of five and was active in the public school music program. Strizek recieved his undergraduate degree in music education from the University of Wisconsin-Eau Claire, where he studied euphonium with Dr Jerry Young, conducting with Dr Mark Heidel, and piano with Professor Penelope Cecchini and Dr Donald Patterson. He performed with the Wind Symphony and Jazz Ensemble III, as well as BASSically BRASS (tuba-euphonium ensemble) and Eu-Tu(ba), an student-faculty collaborative tuba-euphonium quartet. He was an assistant to the Blugold Marching Band, under the direction of Dr Randy Dickerson, and worked with other marching bands in the state, including the Sound of Sun Prairie, the Chippewa Falls Marching Cardinals, and the River Falls Marching Wildcats. Strizek is an active arranger, having written pieces for tuba-euphonium quartet & ensemble, concert band, marching band, and jazz band. He is presently branching out into vocal and string music. His works have been published and reviewed nationally, and have been performed throughout the country, including at regional ITEC conventions in Illinois & Arkansas, by various ensembles in Wisconsin, and in Kansas. Of the hundreds of music education students with which I have been associated, Mr Strizek is among the top 1%. 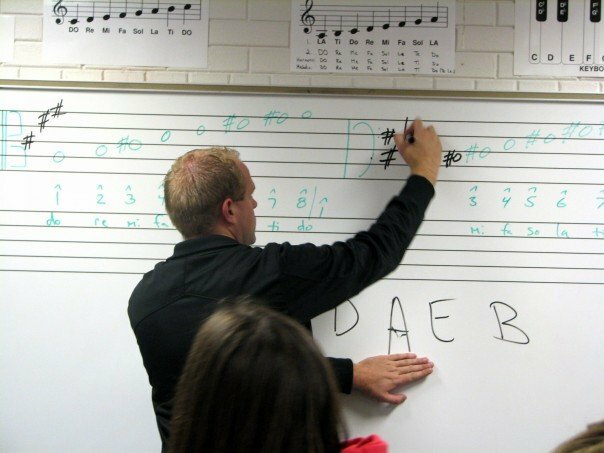 If I were asked to select one recent music education graduate to teach in my own community school, Mr Strizek would be my top choice. While living in the Chippewa Valley, Strizek was active as an accompanist with the Eau Claire Children's Theatre and through UW-Eau Claire. He also performed reguarly with the Troppo Big Band, the Bruce Hering Big Band, and vocalist Cathy Reitz. Presently, Andrei Strizek is studying piano with Milica Vucmanovic. He has studied euphonium with Professor Mark Moore and performed in UIUC's Symphonic Band II and Concert Band I, under the direction of Dr Abel Ramirez and Dr Peter Griffin. He remains active as an accompanist, playing for studio classes and juries, and also plays piano with Wind Symphony, under the direction of Dr Robert Rumbelow. Some of Andrei's hobbies include doing crossword puzzles, reading about current events and politics, running, and traveling (when he can afford it). He is a fan of the music of Jason Robert Brown, Leonard Bernstein, and Brad Mehldau, to name a few. Strizek enjoys regularly listening to NPR programs including This American Life, Planet Money and Wait Wait ... Don't Tell Me! You can find Andrei on LinkedIn and on Twitter, and subscribe to his YouTube channel.